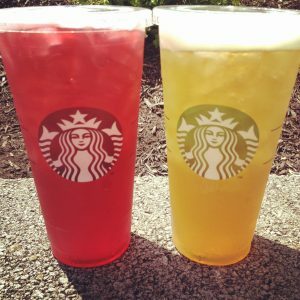 Starbucks Corp. (NASDAQ:SBUX), one of the largest coffee companies in the United States, is teaming up with Anheuser-Busch InBev NV (NYSE:BUD), one of the nation’s biggest beer brewers, to create a bottled version of its Teavana tea. The companies announced the partnership Thursday and expect to finalize agreements for the new brand by the end of the year. The new product line, which will be non-alcoholic, will debut in the first half of 2017. Anheuser-Busch chief executive Carlos Brito said Starbucks stores would develop the new tea flavors. Anheuser-Busch will then produce those flavors at one of its dozen US breweries, bottle, distribute and market the drinks. It will help the beer company fill capacity at breweries, and give its network of more than 500 distributors a nonalcoholic beverage to sell. Ready-to-drink tea is one of the fastest-growing beverage categories in the US. Figures by the Tea Association of the United States show that Americans drink more than 800 million cups of tea each week. Roughly 80 percent of all tea consumed in the country is iced tea. Currently, the premium ready-to-drink tea business generates $1.1 billion in sales. Globally, tea is a $125 billion industry. Starbucks acquired Teavana in 2012. The company reported that it sold more than $1 billion worth of Teavana tea as of the year ended March 27. This was an 11 percent increase over the same period last year. In January, Starbucks said that it expects to grow Teavana into a $3 billion business over the next five years. However, Starbucks has also announced that it would be converting three Teavana tea bar locations into Starbucks stores instead, and close a fourth. The tea will still be sold through its own cafes. Starbucks has already partnered with PepsiCo to distribute their bottled frappuccinos, which are distributed to more than 200,000 stores in the U.S. PepsiCo and Starbucks’ ready-to-drink coffee and energy drinks make up a $1.5 billion business. However, Starbucks couldn’t include PespiCo in its plans for the new product because PepsiCo already bottles and markets products for tea brand Lipton.